What Are the 8 Ecosystems? An ecosystem is a community of biological organisms, nutrients, and abiotic, non-biological, organisms. Although each ecosystem is unique, every ecosystem falls into one biome category. A biome is a large ecosystem that contains many smaller ecosystems of the same type. Eight biome categories exist, determined largely by temperature or rainfall. Associated with dense jungles, tropical rainforests are the most diverse biome ecosystem on the planet. Thick vegetation, mostly evergreen, blocks sunlight, and the high temperatures accelerate decomposition, inhibiting the formation of nutrient rich humus. As a result, many species live in the trees and canopy, or uppermost reaches, of the rainforest. The jungles of South and Central America are examples of tropical rainforests. Deciduous trees, or trees that lose their leaves during the autumn and winter, are dominant in temperature deciduous forests. Hardwood trees such as oak, maple, chestnut, hickory, and walnut are common trees in North American forests; deer, bear, wolves, and squirrels are common animals. Temperate deciduous forests are cooler than tropical rainforests, but warmer than taigas. 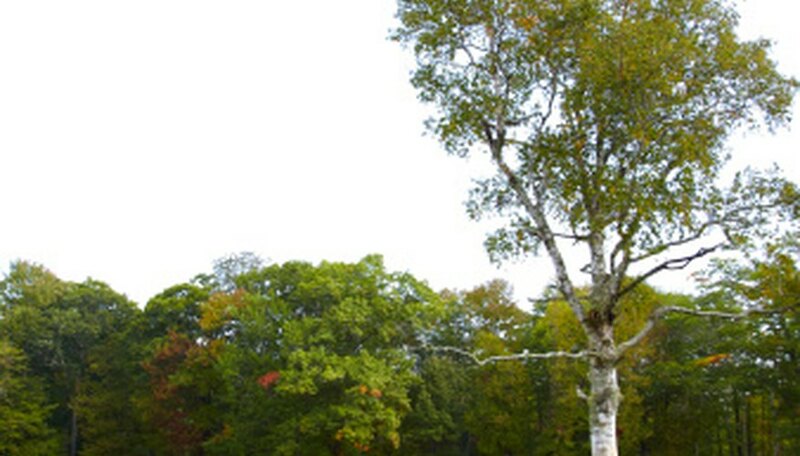 The Northeastern United States is an example of a temperate deciduous forest. Colder than temperate deciduous forests, often below freezing for six months of the year, taigas experience a fairly warm summer, which leads to an abundance of plant life. Conifer trees, evergreen trees that produce cones, are dominant, including fir, spruce, pine and hemlock. Lichens and moss are common, and lakes and wetlands are plentiful in taigas. 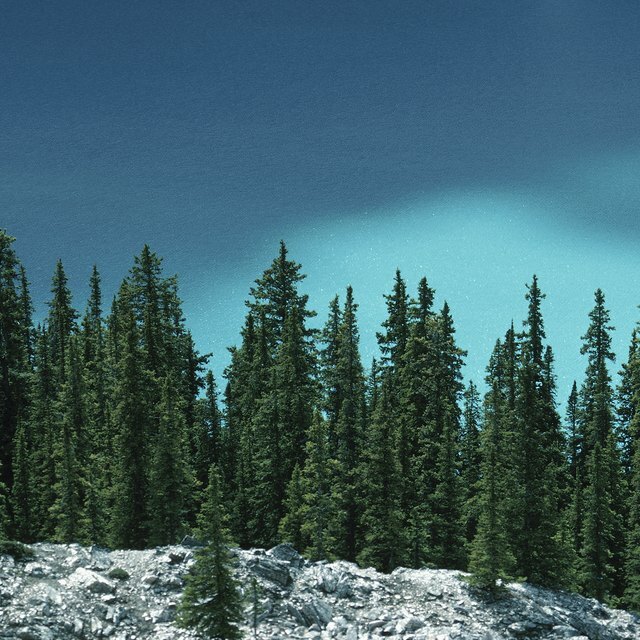 British Columbia, Canada, and parts of Alaska are taiga ecosystems. Temperatures are so low in tundra biome ecosystems that the ground never fully thaws, even during the summer. Plant life grows less luxuriantly, and many species of birds and mammals migrate south during the harsh winter; caribou are well known for migrating. Lichen, grass, and annual plants grow and reproduce quickly during the short summer. Northern Canada and northern Russia are largely tundra ecosystems. Annual rainfall in a desert is less than 10 inches, or 25 cm, per year. Plants, such as sagebrush and cacti, have developed adaptations to allow them to conserve and store water during dry spells. Animals, such as snakes and small mammals, have adapted to burrow underground to escape the daytime sun. Rainfall plays a larger role than temperature when determining a desert. The Sahara Desert in northern Africa is a desert. Prairies and plains are grassland ecosystems. Grasslands receive more rainfall than the desert, but less rainfall than the chaparral. Light rains allow minerals to remain in surface soil, rather than being washed deeper into the soil; shallow-rooted grasses grow well, while deep-rooted trees are unable to establish themselves. Mammals tend to be swift moving herbivores, such as antelopes and giraffes, or predators, such as lions. The Midwestern United States and much of central Africa are grassland ecosystems. Rainfall in chaparral biome ecosystems is slightly higher than in grassland ecosystems, and falls almost entirely during the winter, resulting in dry, and often hot, summers. Yucca, scrub oak, cacti, and some hardy trees are found in chaparral, alongside coyotes, jack rabbits and lizards. Grapes, olives, figs, eucalyptus trees also flourish in chaparral. Mediterranean southern Europe and the California coast are two examples of chaparral. Precipitation is the dominant feature of temperate rainforests, with some temperate rainforests receiving more than 100 inches of rain per year. The climate of temperate rain forests is mild, with annual temperatures averaging 50 to 65 degrees Fahrenheit. Coniferous trees are dominant, although many deciduous trees grow as well. Moss, lichen, and fungi are common. Deer, bear, slugs, and a wide range of birds are just a few of the species that live in temperate rain forests. The Olympic Peninsula in Washington state is a temperate rainforest. Wood, Cristel. "What Are the 8 Ecosystems?" Sciencing, https://sciencing.com/8-ecosystems-8213575.html. 24 April 2017.